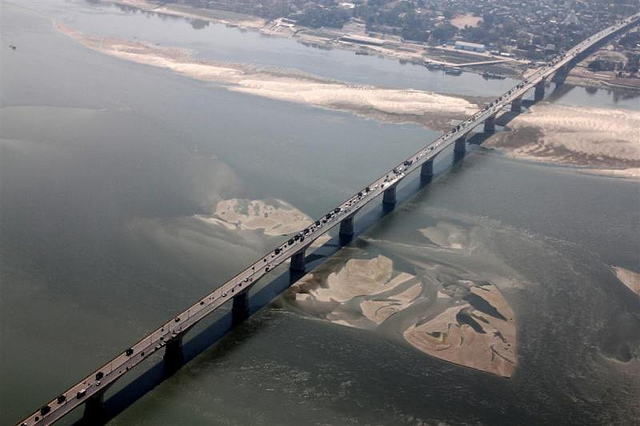 Mahatma Gandhi Setu - The longest river bridge in Asia. Mahatma Gandhi Setu (bridge) in Patna is the Asia's longest river bridge over the river Ganges connecting Patna in the south to Hajipur in the north of Bihar. Mahatma Gandhi Setu is also known as Gandhi or Ganga Setu. Ganga Setu in Patna is 5.75km in length and was inaugurated in 1982 by Indira Gandhi.